Mr. Mooney, running late for his two-week Naval Reserve tour, leaves the office and forgets to sign some vital papers. Lucy tracks him down to a submarine on which he will sail on maneuvers. 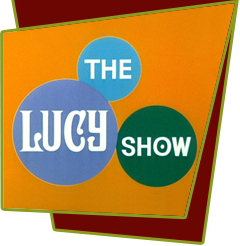 Lucy follows him onto the submarine on which he is stationed but disguises herself as a sailor to sneak onto the vessel. She has to act like one of the sailors in order to get his signature but before she can leave, the sub submerges! Special Notes: Roy Roberts, who plays the Admiral in this episode, will later return to play Mr. Mooney's boss at the bank, Mr. Cheever in episode #124, "Lucy's Substitute Secretary".